Hi everyone! 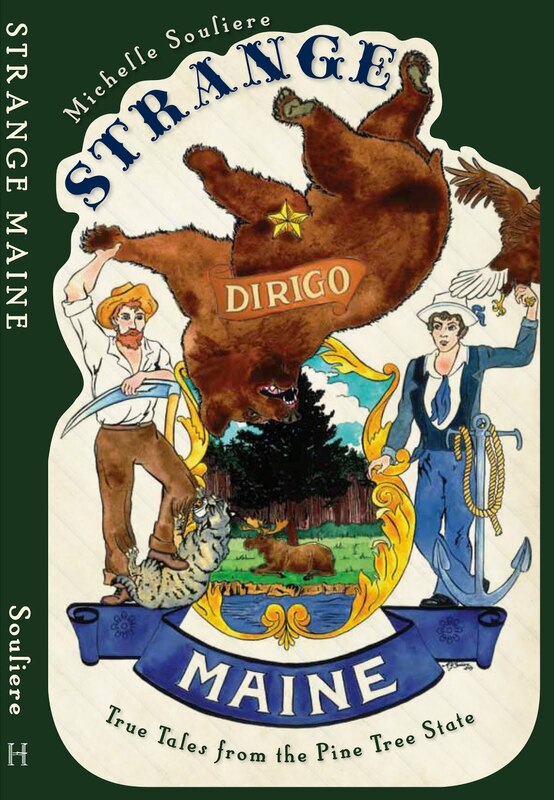 In the process of my Strange Maine research, I have long been interested in the life and history of large Maine mammals, including our resident black bear population. With that interest in mind, and in the interest of helping Mainers avoid creating sources of nuisance bear activity, I'd like to share the following information with you, as issued last week by the Maine Maine Dept. of Inland Fisheries and Wildlife. These are all proven measures to eliminate human/bear conflict, so please help out yourselves and your bear neighbors by following these guidelines! Please Remove Potential Meals So Bears Don’t Become A Nuisance! It's that time of the year again! Spring, mud season, call it what you will, this is also the time when Maine's black bears are emerging from their winter dens. With natural foods in short supply this time of year, the Department of Inland Fisheries and Wildlife is already receiving calls concerning bears looking for easy meals in backyards around birdfeeders, trash cans, chicken coops and grills. The department reminds Mainers to remove potential bear attractants from their yard. This is an easy and effective way to avoid problems at your home. You can learn more at maine.gov/ifw/fish-wildlife/wildlife/wildlife-human-issues/living-with-wildlife/bears.html -- the rangers have assembled a large amount of very useful information, including helpful PDF printouts of the basic steps to take at home. “Due to the late spring, we anticipate that bear complaints could reach higher than normal levels this year. Spring is the time of year when natural foods for bears are scarcest, and as a result bears will often seek accessible food in people’s back yards,” says Jen Vashon, IFW’s bear biologist. As of the end of April, the department had already received almost 30 nuisance bear complaints in 2018, with the majority coming from the Kennebunk/Arundel area as well as the greater Bangor area. Every year, the Department handles approximately 500 nuisance bear complaints, with May, June, and July being the busiest months for these. Black bears emerge hungry from their dens after losing between 15-40% of their weight during winter. They immediately start looking for food. Wouldn't you, after such a long nap? Bears will often turn to suburban attractants such as bird feeders, pet food, and unsecured garbage bins when natural foods are not available. Much of a bear’s diet is vegetation, and many natural foods such as leaves and grasses are not yet available due to the slow retreat of snow and ice, and the delay in warming temperatures this year. Normally, the spring thaw triggers local plant life to start budding early, creating spring food sources for black bears. Each spring, bears will feed on grasses and sedges near wetlands, as well as the roots, tubes and bulbs of plants, including skunk cabbage. Bears are also opportunistic carnivores, and will also feed on moose calves, deer fawns, and small livestock. • Take down bird feeders, rake up and dispose of bird seed on the ground, and store remaining bird seed indoors. • Keep your barbecue grill clean by burning off any food residue, disposing of wrappers and cleaning the grilling area after use. If possible, store grills inside when not in use. • Store pet and livestock food inside, and cleanup any uneaten food. • Keep small livestock behind a fence or in a secure building, especially at night. • Keep dumpster lids closed and locked. • Keep outbuilding and garage doors closed. By taking these precautions, you are more likely to prevent conflicts that could create a dangerous situation, or which might require corrective action such as moving or killing a bear. Removing these food sources will also limit other backyard visitor (raccoons, skunks, etc.). If you encounter a bear, do not approach the bear -- instead, slowly back away. If the bear approaches you, try to intimidate the bear by waving your arms and making loud noises, such as clapping your hands or banging pots together. Do not corner a bear -- when cornered, a bear may charge. Always back away, while giving the bear an escape route. Although bear attacks are extremely rare, if a bear charges you, stand your ground and if necessary fight back. For more information, visit mefishwildlife.com.